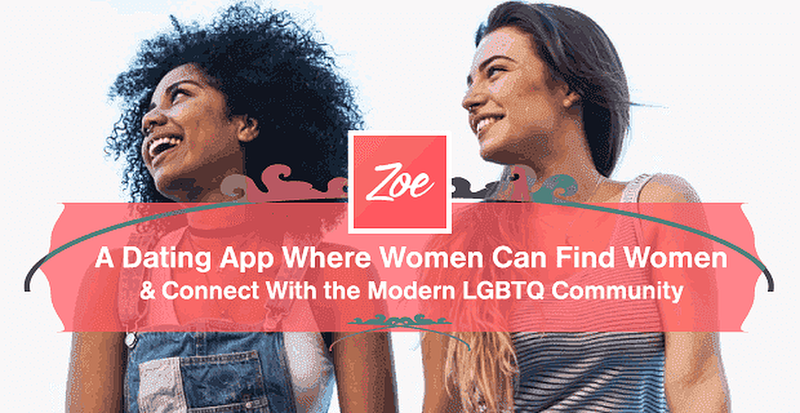 The Short Version: The Zoe app is designed to be a refreshing digital dating experience for lesbian and bisexual women. 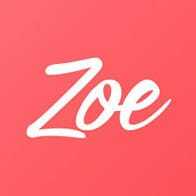 Through in-depth matching and informative personality tests, Zoe provides cutting-edge dating and social networking tools to singles around the world. And even as the gay online dating industry becomes crowded with competitors, Zoe’s team strives to make it the go-to app for every queer woman. 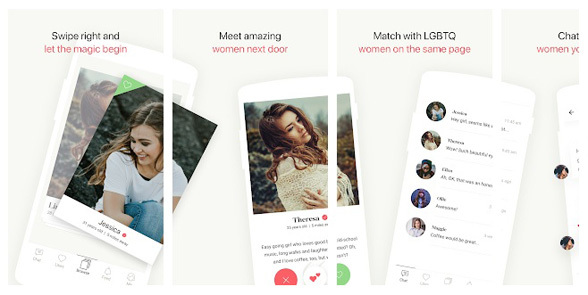 Zoe connects users with like-minded companions who understand the challenges of modern LGBTQ dating and want to find a better way to connect. When it comes to lesbian dating apps, industry trends highlight a harsh truth — success is an uphill battle. Many developers set out to create broad dating apps that anyone can use instead of focusing on a particular community of daters. That led one tech writer a few years ago to describe the excruciatingly long wait for a right-fit lesbian dating app. “For us queer women, it’s been a long, lonely slog on dating services that don’t quite get us — despite getting peppered with plenty of unsolicited ménage à trois proposals.” she wrote. But that was then, and, now, an app called Zoe is trying to fulfill that need through a refreshing take on the swipe-left, swipe-right feature that includes engaging personality tests. According to Eva Blahova, of the Zoe team, its membership is growing daily and already includes 500,000 registered users worldwide. “More than 1,500 new users register every day. Most are based in the US, with nearly 50% being between 18-24 years old, and 35% in the 25-34 age demographic,” she said. These younger users have seen the dating app industry grow from its infancy, but most offerings are marketed more broadly to heterosexuals or all types of daters. Lesbian and bisexual-only apps are a smaller niche. That’s why Eva said she believes Zoe is so important. The team at Zoe is trying to build on its functionality with more features to connect users with each other — and the LGBTQ community — on a deeper level. It gives them the chance to find friendship, understanding, or love on their own terms — with their personality as a guide. Zoe’s signature features are its questionnaires, which cover three areas — dating, lifestyle, and fun. These questionnaires serve to not only help a user figure out more about themselves, but also fill out their profile with relevant information. Zoe’s personality tests are based on percentages and the more users have in common, the higher their percentage and match rate will be. Eva’s goal was to create an inviting, interactive app that distinguished itself from others on the market. Zoe earned a stellar rating from Google Play for its intuitive interface and ease of use. The site’s editors also praised Zoe’s personality tests because they allow users to see how they match up with others before connecting. They also note that users enjoy the percentage rate feature because it provides them with a clear picture of how much they may have in common with potential matches. The AppGrooves team also appreciated Zoe’s chat feature, hailing it as an attempt to protect users from spam and people who want more casual affairs. Zoe users can only chat once both users agree that their connection is mutual. When it comes to Zoe’s personality tests, users enjoy the way questions are presented and how they can lead to more in-depth conversations. Go Magazine writer Dayna Troisi found the questions offered insights you may not find elsewhere. Zoe focuses on asking fun, yes or no questions. Once the questionnaires are completed, users can swipe through the app and see how other women answered. That gives them instant feedback to see how compatible they are with other women. Zoe offers free and paid membership plans and also includes in-app purchases. New York Magazine’s Amy Sohn wrote about her friend Alexandra deciding to give online dating a shot because she was sick and tired of dealing with the same old lesbian dating scenes in her area. “What else am I going to do — go to Henrietta Hudson, where the girls are barking at each other, or Starlight, where everyone’s 21 and looks like a recent Sarah Lawrence grad who’s going to lecture you on semiotic theory? I figured that if I looked outside of the different cliques, I would meet a whole new pool of people,” Alexandra said. Studies show that Alexandra isn’t alone and that many people try online dating out of exasperation with the typical dating scene. According to the Pew Research Center, more than 15% of adults say that they have used mobile dating apps or online dating platforms at least once to fuel their search for love. Eva understands this need to try online dating as a way of approaching love from a different perspective. That’s why she stands behind Zoe’s values and finds that users appreciate the opportunity to meet like-minded individuals. “Our values are based on friendliness, joy, connection, being yourself, inclusivity, and a positive approach,” Eva said. She shared one of her favorite testimonials with us: A couple from the UK who met and fell deeply in love thanks to Zoe. It’s stories like those that reinforce Zoe’s greater purpose. Zoe was created so lesbians and bisexual women could have an easier time finding each other than they do on most dating apps that don’t focus on the community. When it comes to establishing the right kind of team to help complete that vision, Eva knows that an inclusive, inspiring work environment is vital. It’s also one of the keys to Zoe’s success. The Zoe team is on a mission to make the top platform for women seeking women. The company’s biggest component is its support team because Zoe wants to reach users while speaking their language. Its main office is located in Prague, which is an emerging startup destination in the heart of Europe. Research backs Zoe’s dedication to diversity. A global study of organizations with at least one female board member found that those organizations consistently yielded much higher returns. In other words, diverse teams proved to be consistently smarter. Zoe plans on using that brainpower to create new, popular features for years to come and solidify its standing as the top app for LGBTQ love, and the app’s future looks bright as it continues to support the LGBTQ community and create more opportunities for love to bloom. Eva said she is proud to be a part of the company’s growth, which creates more connections for an underserved community of lesbian and bisexual singles.